MimbleWimble is a relatively new protocol proposed in 2016 by an anonymous author that goes by the name “Tom Elvis Jedusor”. The protocol addresses 2 key aspects namely privacy and scalability, without the usage of public addresses that we are accustomed to. I will not get into the details of MimbleWimble but this write up is a good explanation which will get you up to speed on the idea of it. 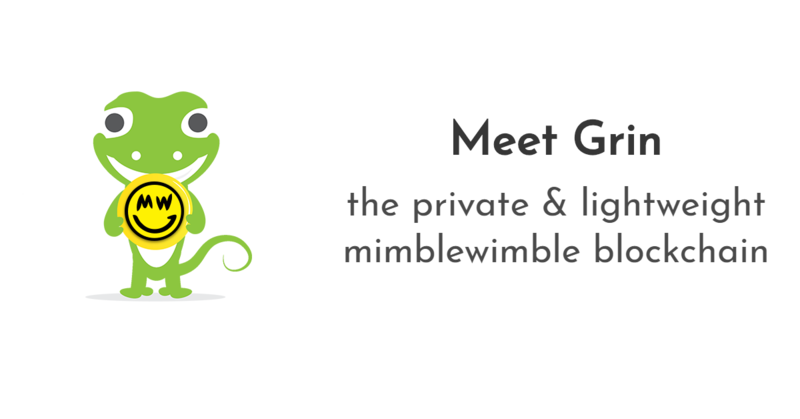 Two coins namely Grin and Beam, both launched in 2018, embarking on the grand experiment to implement private digital cash based on the MimbleWimble protocol. If this proves to be successful, precedence to new ideas can be set; similar to what we saw with the blockchain space growing to its current state from the introduction of Bitcoin. The Grin coin project specifically has no external funding, no ICO, nor pre-mined coins to support developmental efforts. Instead, a band of volunteer developers got together to work on the project. This effort is highly commended that has got us curious about it. We started to dive into it, trying to understand how the MimbleWimble protocol works when implemented as a coin. We proceeded to setup nodes/wallets so we could make a couple of simple transactions. Based on our experience, this frankly does not feel like the typical cryptocurrency that we all know. An experienced Bitcoin or Ethereum user can quickly get lost on how to work with MimbleWimble. Nevertheless, the challenges of working with it is exciting and reminds us of the early days of trying to figure out Bitcoin. As such we decided to share with the world some of our learnings and do our part to contribute to the ecosystem. Recall the old days when many Bitcoin enthusiasts put up their Bitcoin addresses on their websites or blogs – that one simple exercise piqued the curiosity of many about Bitcoin and drove many down the rabbit hole to explore Bitcoin and many other cryptocurrencies. The simple act of having a donation address on a websites likely helped drive the adoption of Bitcoin in the early stage. Today, we are adding Grin donation addresses to CoinGecko.com and we hope this will spark the same curiosity to Grin and the MimbleWimble protocol just like how it did to Bitcoin in the early days! Stay tune as we continue to explore this space further. We will be sharing more guides and educational materials and doing our part to contribute to the development of this new protocol.